Test of English as a Foreign Language (TOEFL) is the most popular English proficiency exam accepted at North American universities. 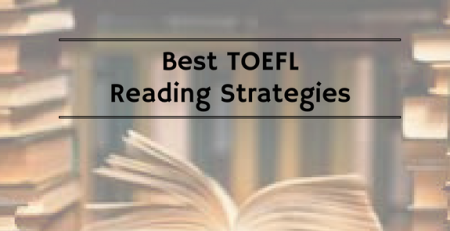 TOEFL tests the international students’ usage and understanding of North American English as it is spoken, written and heard in college and university settings. 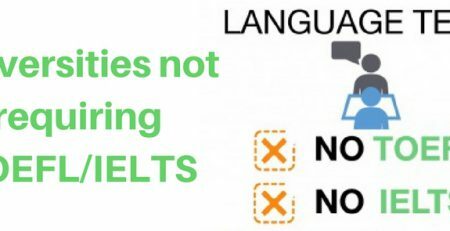 The TOEFL test is developed and administered by Educational Testing Service (ETS), which sets the questions, conducts the test, and sends each examinee the score report. The registration fee for TOEFL is $170, which would roughly translate to Rs. 11,000 to 11,500 (approx). TOEFL exam pattern is as follow – four sections, namely, Reading, Listening, Speaking and Writing – along with the total score. It goes without saying that the more you practice TOEFL sample papers, the better your scores will be. The total score is the sum of the scores of the four skill areas. Scores will be posted online 10 days after the test date. ETS will send up to four official score reports directly to the institutions the student selects. Reading 60–80 minutes 36–56 questions Reading 3 or 4 passages from academic texts and answering questions. Listening 60–90 minutes 34–51 questions Listening to lectures, classroom discussions, and converTOEFLions, and then answering questions. Speaking 20 minutes 6 tasks Expressing your opinion on a familiar topic and speaking based on reading and listening tasks. Writing 50 minutes 2 tasks Writing essay responses based on reading and listening tasks, along with supporting an opinion in writing. For calculating TOEFL scores, both human raters and automated scoring methods are used. This is done in order to offer a complete and accurate picture of the candidate’s ability. While the automated scoring method has the advantage of being unbiased, it does not measure the effectiveness of the language and content. Human raters are required to attend to a wider variety of features, such as the quality of ideas and content as well as form. The TOEFL iBT test is administered online and is conducted on more than 50 dates per year at authorized test centers in India. To find available test centers and dates, you will have to create a TOEFL iBT account. When you click “Register for a Test”, you will be able to see the available dates and test centers. You will also get an option to choose the timings of the TOEFL exam. You can choose a morning slot or the evening slot. When you register for TOEFL test, you will have to provide authentic identification information. This information should match the identification document you will be carrying on your exam day (which is a passport in case of Indian applicants). Make sure you spell your name exactly as it appears on your passport. TOEFL registration is a fairly simple and uncomplicated process. The candidates have the liberty of taking the exam anytime in the year as per their convenience. The important thing to note is that the candidates can reschedule their next attempt only after 31 days of taking the first attempt. A candidate is only allowed five attempts in one year. Online – You need to go to the TOEFL login page and create an online profile. Then you’ll be required to pay the exam fee. Online registration on the ETS website is the fastest and easiest method. Through the online method, you can register anytime and on any day. Be sure to spell your name exactly as it appears on the identification you will bring on the test day, which for Indian students is their Passport. You will be required to pay with a credit/debit card. By phone –Go through the registration form before you call. Spell your name correctly and exactly as it appears on your passport. Call the Regional Registration Center on this number – 91-124-4147700. Pay with credit/debit card as directed. Registration closes seven days before your test date.